Since it's typically very HOT during the summer in South Carolina, we find ourselves using our grill many, many times to keep the heat out of the kitchen. Yesterday it was 100 degrees here, so it was definitely a grilling kind of day. We took the opportunity to grill a Beef Brisket I'd purchased recently from Hill Creek Farms - Hartsville, who raises 100% grass-fed Angus beef. The brisket was tender, moist and absolutely delicious as you will see. 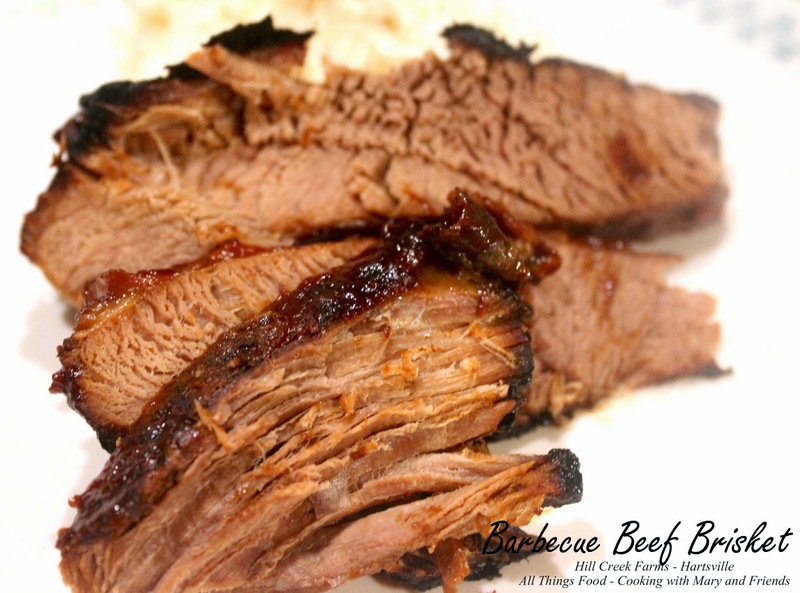 Remove beef brisket from the refrigerator and allow to come to room temperature, 30 minutes to one hour. Place brisket fat side up on a large piece of aluminum foil (large enough to completely encase brisket) sprayed with cooking spray. Liberally apply barbecue sauce over brisket using your hands to massage it into the meat. Seal up aluminum foil by bringing ends together and folding to secure. Be sure brisket is entirely sealed inside the aluminum foil (you may need to add another piece of foil). 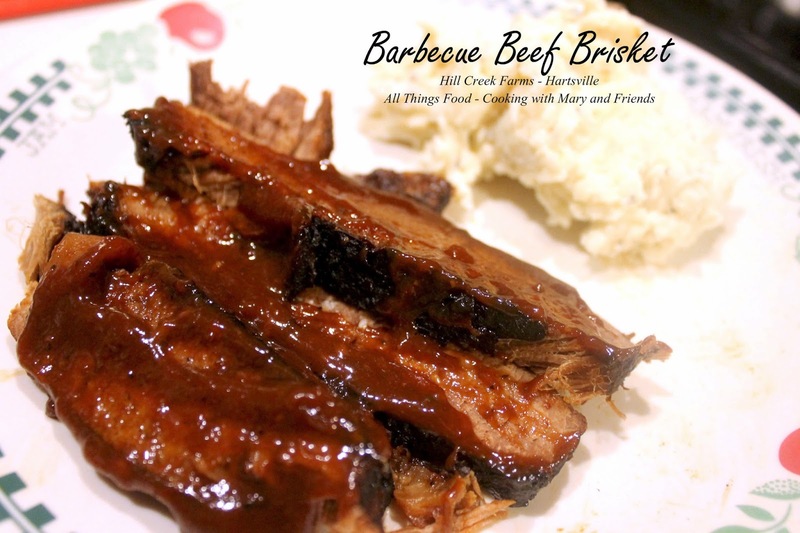 Place brisket on grill over low-off-low heat and cook 4-5 hours or until brisket is falling apart tender. Remove brisket from grill, unwrap on a cutting board, loosely cover with foil and allow to rest 5-10 minutes before carving. 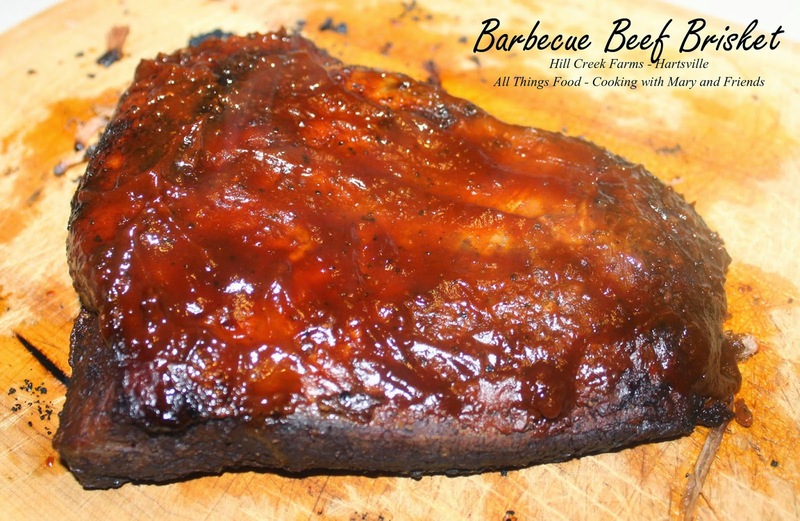 Slice brisket WITH the grain for serving slices, or ACROSS the grain for shredded beef. Serve with additional barbecue sauce.